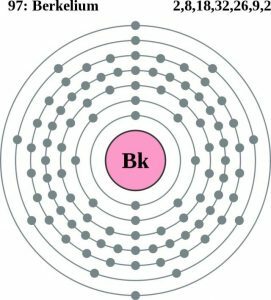 Berkelium (pronounced as BURK-lee-em) is a radioactive metal belonging to the family of actinides and denoted by the chemical symbol Bk. 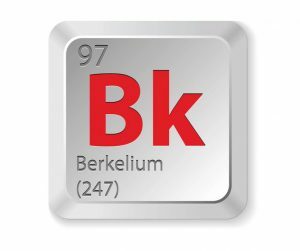 Out of its 12 isotopes, berkelium-247 and berkelium-249 are relatively more stable with a half-life of 1380 years and 320 days, respectively. 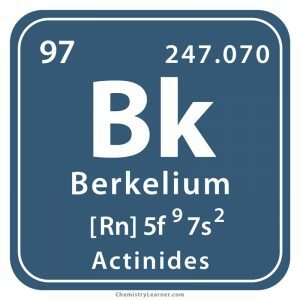 Origin of its Name: It has been named after the city of Berkeley in California. 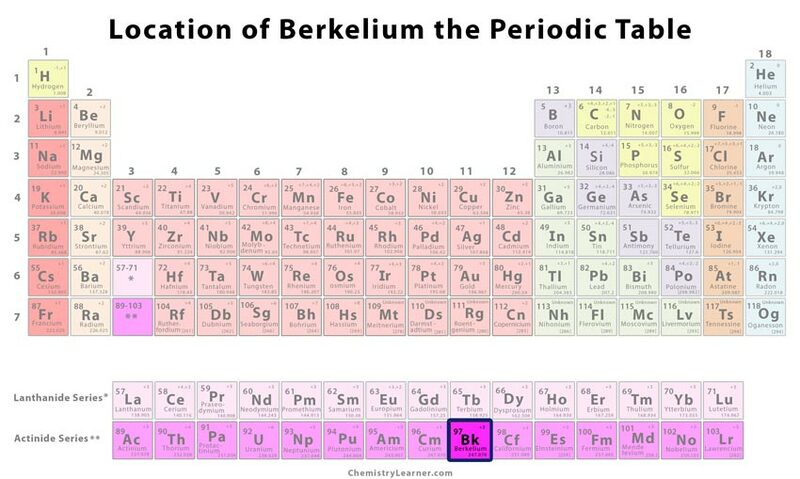 Who Discovered Berkelium: Stanley Thompson, Glenn Seaborg, and Albert Ghiorso were the discoverers of the element. In December 1949 at the University of California in Berkeley, Thompson, Seaborg, and Ghiorso bombarded americium-241 with alpha particles in a cyclotron for several hours. 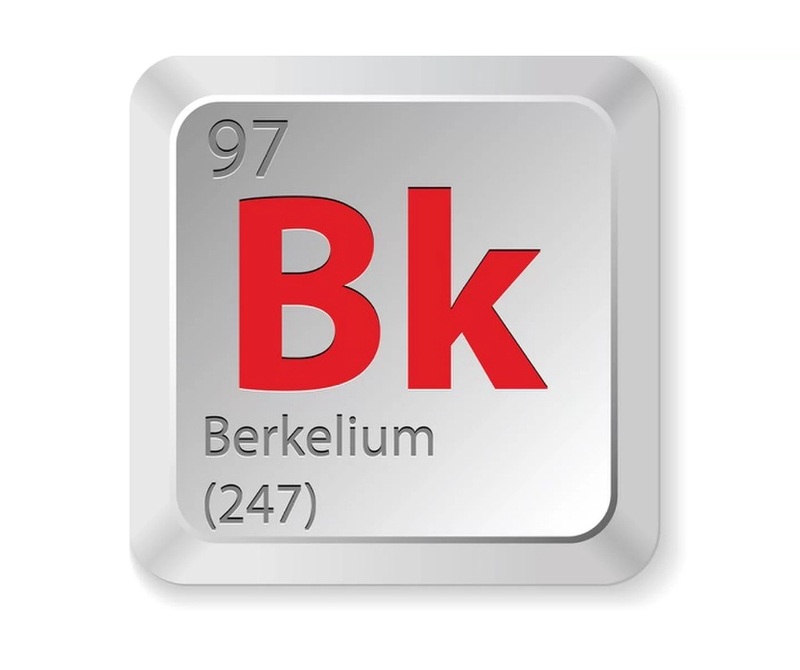 They dissolved the target in acid and isolated berkelium-243 using ion exchange technique that had a half-life of 5 hours. After nine years, only a few micrograms of the new element were produced to be visible to the naked eye. 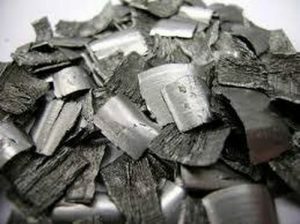 Since only minute amounts of the element are produced in the laboratory by bombardment of neutrons with plutonium-239 in reactors, its use is limited only to basic scientific studies . 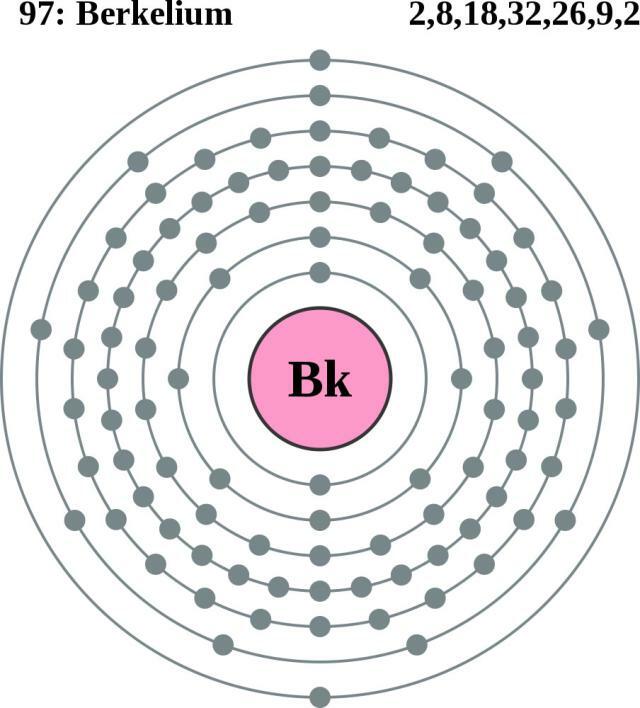 Bk may have adverse effects when accidentally inhaled or ingested due to its radioactivity. 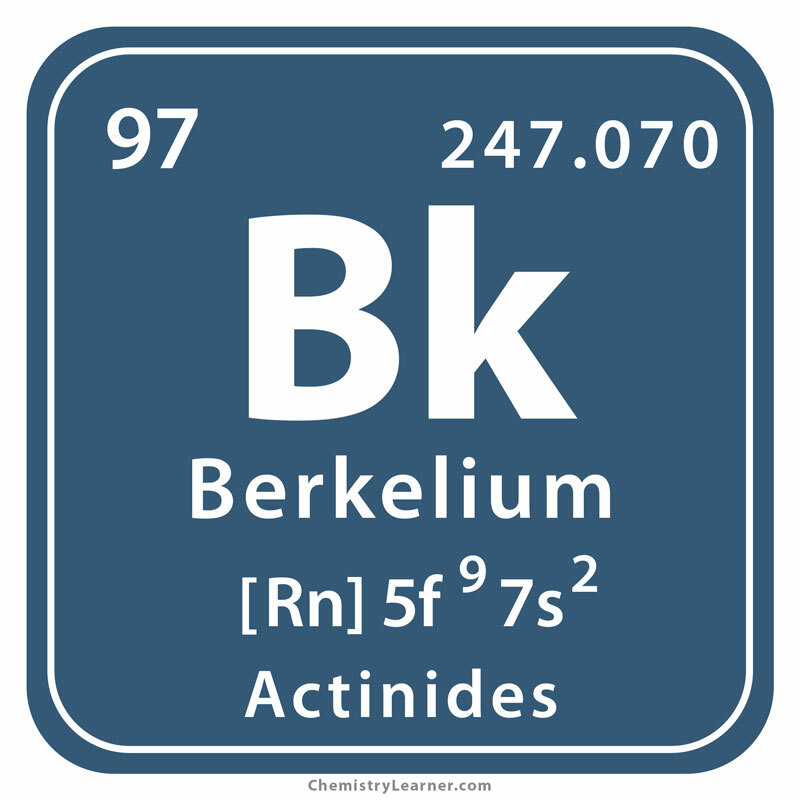 Berkelium chloride was its first visible compound produced in 1962 that weighed about 3 billionths of a gram .